It’s been over a year since that delivery truck turned up with our first copies of Mental Spinach. On reaching our anniversary we wanted to take stock and celebrate a great year and how much we’ve learned. We also wanted to take a moment to thank those who played an important role in helping to share this project. We really appreciate your championing of Mental Spinach. What was our strategy for sharing Mental Spinach and how many copies are in circulation? Our self-publishing of Mental Spinach had a range of benefits. It meant that we had total control over the expectations we set around our sales process and helped us to secure more dollars per book for charity. It also meant that we had to be the chief promoters for our little green pocketbook, as we should be. 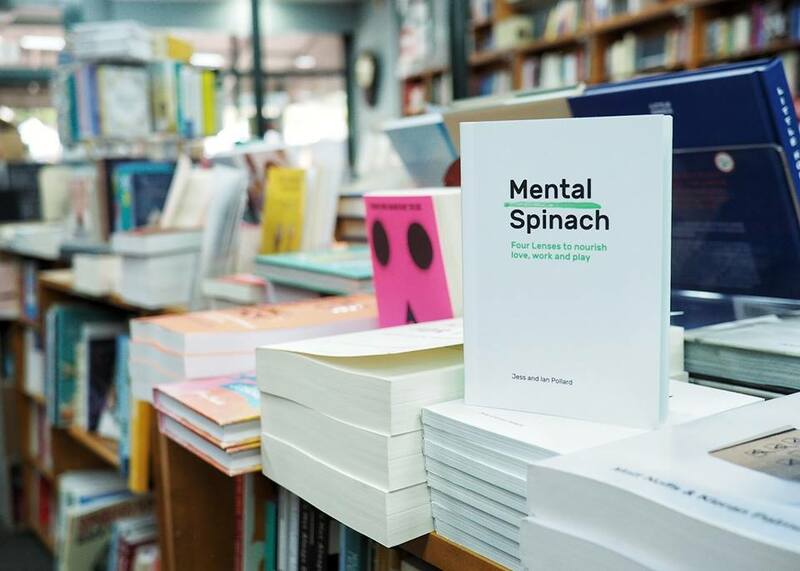 After one year of sharing the book there are over 3,000 copies of Mental Spinach in circulation – not a bad effort for a couple of part-timers! So, how did we share these copies? We experimented with many different avenues. We approached bookshops, cafés, large distributors, friends, friends-of-friends and organisations. What we found was true to the words in Mental Spinach – people love to help! 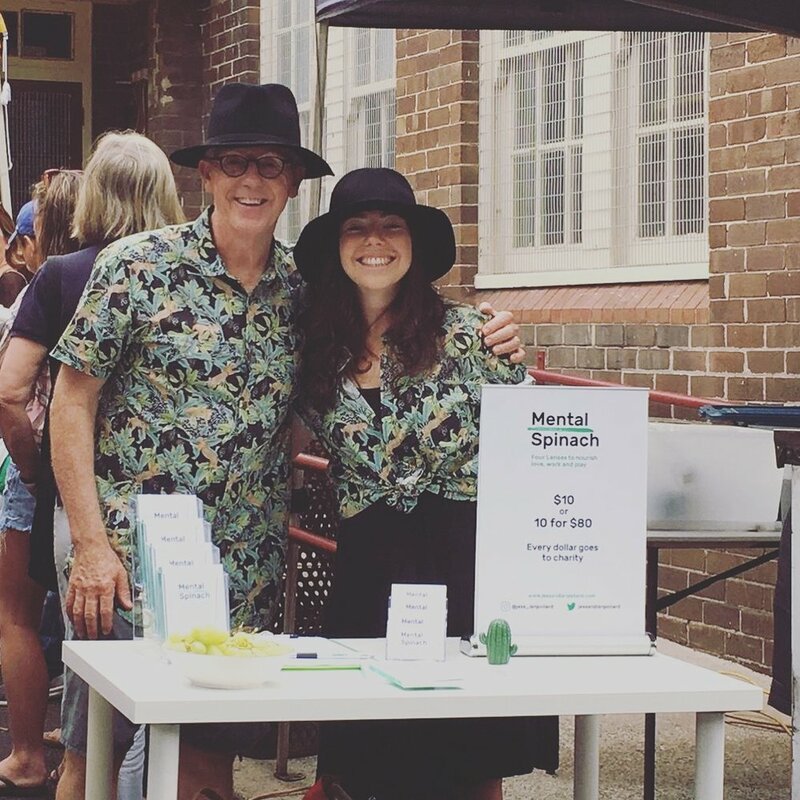 We’ve been excited with the progress of Mental Spinach into a range of local cafes and Sydney bookshops including Gleebooks, MAAS Store at Ultimo, some Dymocks stores and Berkelouw Leichhardt – and with the consistent rate of sales they’re achieving. Our strategy of grassroots local growth has been a rewarding way to share our ideas. It has also meant that we’ve been able to make new friends and have been really connected to feedback on the book – both what works and what we could improve. 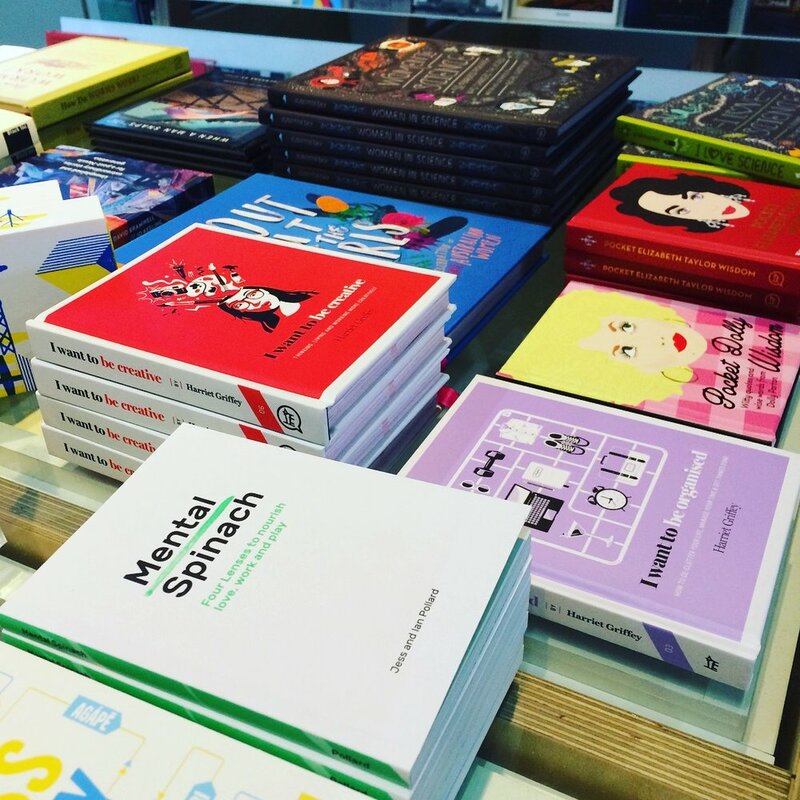 From the charities we’ve been supporting to the bookshop buyers, it’s been fulfilling to see Mental Spinach touching people’s lives and causing them to reflect. We continue to look for more places to sell our pocketbook, in particular retailers who have the potential to stock Mental Spinach nationally or internationally. We would welcome any suggested avenues or contacts. Click here is you have a bright idea for us. We’ve also been looking for workshop and speaking opportunities and thanks to some of our champions we’ve delivered a range of workshops and keynotes. These included working with the senior executive team of a major corporation; with young service firm professionals and their clients; with MBA students and university alumni; in community services organisations and schools and with sports men and women. We really enjoyed the chance to experiment with a range of audiences and formats and to start to hone in on the best ways to share the Mental Spinach message face-to-face. A key breakthrough was the development of a Mental Spinach card game to make our workshops informal, fun and collaborative. 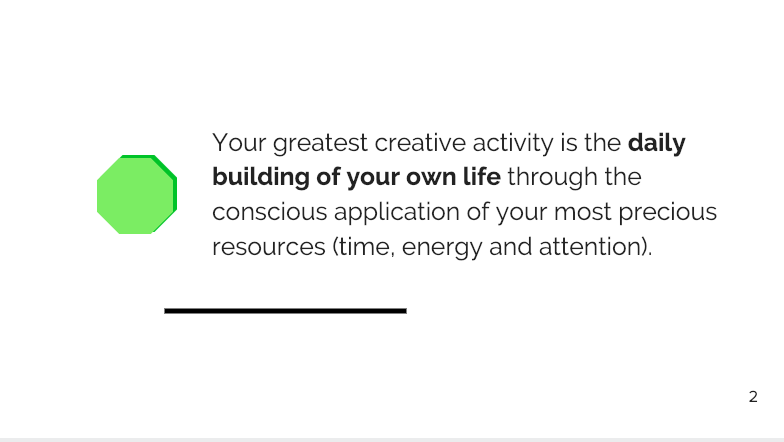 Our card game has proved particularly effective in helping groups to reflect, connect and plan together and has helped to shape our two primary workshop offerings – the 90-minute Mental Spinach Blast and the half to full day Mental Spinach Feast. For more about how they could impact your team, click here. What impact have we made and which charities have we supported? As well as impacting the opportunities and lives of Mental Spinach readers, our work is also supporting education charities which are positively impacting the lives of disadvantaged young people. In 2018 our book sales and workshops raised over $15,000 for local and global education charities including the Story Factory, Evidence Action and the Smith Family’s Learning For Life Project. In 2019 we’re looking forward to raising money for Australian Schools Plus and hopefully developing some school-focused resources for them. We align with their vision that schools and teachers know best what resources will help to profoundly impact their school environment. Every purchase of Mental Spinach in the first quarter of 2019 will be going towards supporting school-specific programmes in disadvantaged schools. To learn more about their offerings click here. After reviewing information from the global charity evaluator GiveWell we will also be donating to Helen Keller International (HKI) which focuses on supporting programs that reduce malnutrition and avert blindness and poor vision through vitamin A supplementation programmes in sub-Saharan Africa. HKI has been voted one of the top 5 most evidence-backed, thoroughly vetted and underfunded organisations globally by GiveWell in 2018. To learn more about their work and impact click here. What is the most interesting feedback we’ve been getting? Much of this process has been an experiment, from sourcing designers and printers in 2017 to approaching bookshops and organisations for workshops in 2018. With so many interactions we’ve received a wide range of positive feedback, in particular from readers - from book reviews to messages from people on how they have come to keep Mental Spinach on hand. We’ve had couples with His and Hers matching copies of Mental Spinach on either side of the bed and some individuals who keep it constantly at their desk or in their handbag or briefcase as their daily reflection tool. We’ve had regular feedback that it’s helped people to navigate career changes, relationship changes, big decisions and times of reflection and reconnection. 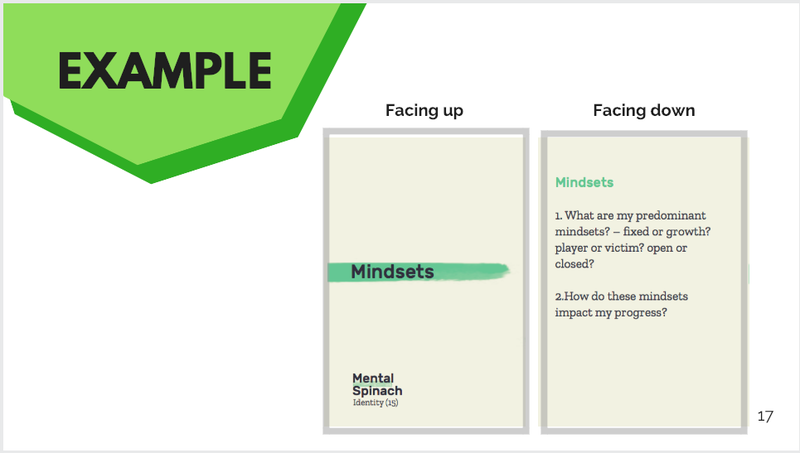 Perhaps our most exciting piece of feedback was how a family of four used Mental Spinach to help them to grow their small business, with the book encouraging them to explore their business proposition and family relationships through the Four Lenses. We loved this feedback after one of our workshops. — Sophie - mother, business owner and brand specialist. Sophie’s family business is just getting started but we can empathise with Sophie’s feelings because of the pleasure we have gained as daughter and father working together on Mental Spinach. We regularly receive comments from other parents to the effect “I wish I could be working on a project with my daughter/son” or the mirror comment from young people regarding working on something with one of their parents. What has been the biggest lesson that we’ve learned? Among the positive feedback there has been a range of lessons and new things to consider. This has included the challenge of how to repurpose the content in the book to reach young and broader audiences, including online, and a call for more personal stories. We’re looking forward to considering these deeply as we move into the next stage of this project. What’s been a highlight for this project?